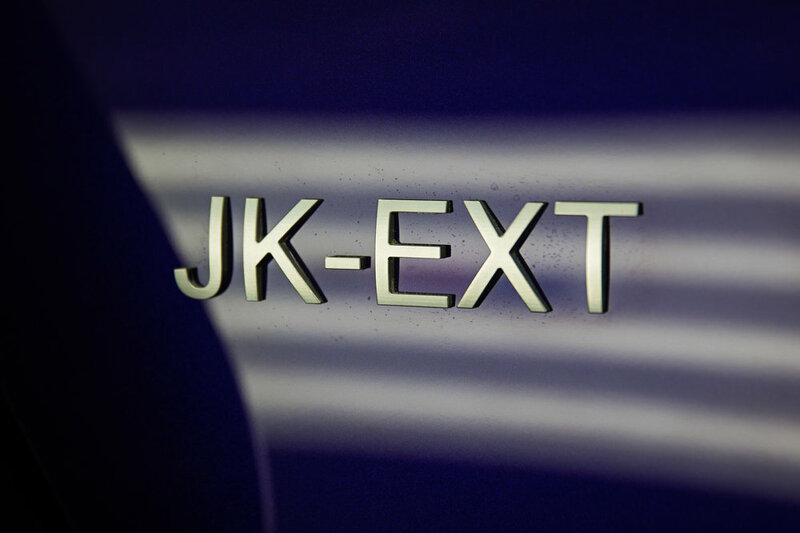 First introduced at the 2012 SEMA show, the JK-EXT is our answer to the JK-8, but for those that still need a back seat. 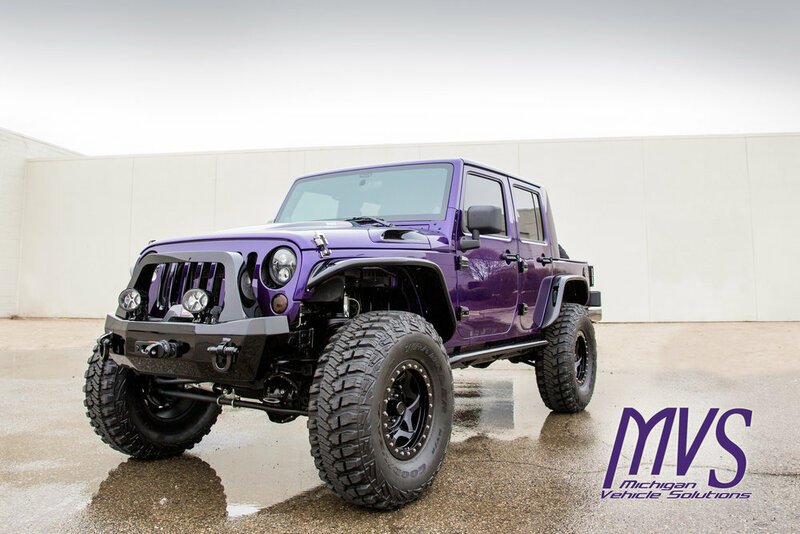 Our talented team previously built 34 J8's for UN Haitian Relief and helped Mopar develop the truly unique JK-8 kit. We took that experience and created the JK-EXT. This kit combines functionality with style – combining a pick-up truck with the Jeep Wrangler for a go anywhere, do anything type of capability. Kits are available to order straight from MVS for the those qualified & capable to handle the installation themselves. 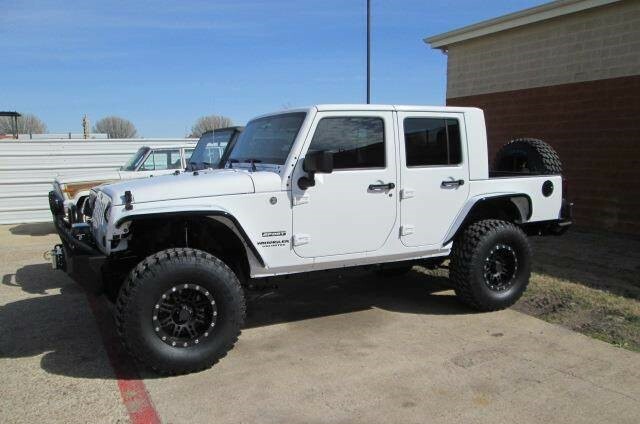 MVS will work with you in transporting your 2007 & newer 4-door Jeep Wrangler Unlimited to our build facility. 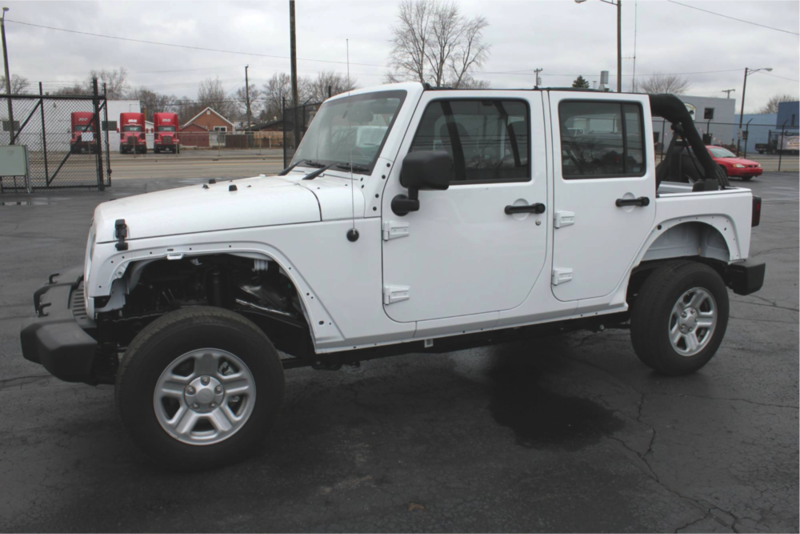 From there, we will take & convert your 4-door Jeep Wrangler into a 4-door Jeep pickup. Our package also allows you to retain your Manufacturer’s Warranty. Conceived, designed & built by MVS. For pricing & to discuss additional custom accents (drop down tailgate, folding tonneau cover, rock rails, flares, bumpers, lift, etc) contact us today for a quote & availability.